MSPs have launched a probe into healthcare facilities across Scotland following the deaths of two patients who contracted an infection connected to pigeon droppings at a hospital. A 10-year-old boy died in December at the Queen Elizabeth University Hospital (QEUH) in Glasgow after contracting the Crypotococcus infection. A 73-year-old woman who had been infected with the bug died at the same hospital last month, with officials initially saying it was from an unrelated condition. The Crown Office is currently investigating both deaths at the £842 million flagship hospital. Scottish Conservative health spokesman Miles Briggs last month urged MSPs on Holyrood’s Health Committee to investigate, claiming infections were spreading as though in “Victorian times” at the facility. 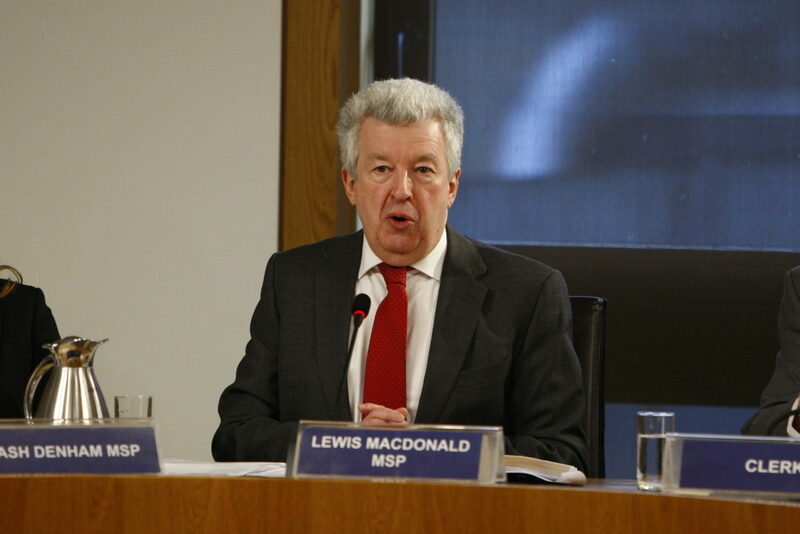 The committee agreed to look into the matter and has now announced its investigation will be into “the scale of health problems linked to the healthcare environment in Scotland”. As part of its remit, the committee will explore what risks exist and how these should be reported and addressed. It wants to hear the views of healthcare workers and others affected by these issues, with a formal evidence session to take place on March 19. Scottish Labour MSP Lewis Macdonald, the committee convener, said: “Like everyone across Scotland, I was deeply troubled by the nature of the deaths at the Queen Elizabeth University Hospital. “There are a number of ongoing investigations into what happened but this raises wider issues about the safety and control of healthcare environments in Scotland. “The committee is determined to understand how standards are upheld and consider existing protocols in place. “We are also going to look at the adequacy of systems and processes for reporting and controlling outbreaks when they do occur. Responding to the development, Mr Briggs said: “This is an essential investigation and I’m glad there’s been little time wasted in getting it under way. “The families of the victims deserve answers and so too do the patients, visitors and staff who use the hospital every day. “That’s exactly why the Scottish Conservatives demanded this probe take place. The infection was believed to be from pigeon droppings found in a plant room on the roof of the QEUH. Investigations have been taking place to establish how the bacteria entered a closed ventilation system. Scottish Health Secretary Jeane Freeman has ordered a separate review of the design, build, handover and maintenance at the QEUH and how they contribute to “effective infection control”. A Scottish Government spokesman said: “As the Health Secretary has set out in Parliament, an independent expert review will look at the hospital’s design, commissioning, construction, handover and maintenance, including how these matters support effective infection prevention and any other areas considered necessary by those carrying out the review. “The Health Secretary has also asked the Healthcare Environment Inspectorate (HEI) to fully inspect and review this incident and to make any further recommendations they consider appropriate. He added: “We have robust measures in place across the NHS to monitor infections and other harm, Healthcare Improvement Scotland inspect healthcare facilities, lead our safety programme and along with Health Protection Scotland and Health Facilities Scotland provide a robust mechanism to monitor and learn from outbreaks and incidents.